If you have a small kitchen that you are trying to organize or you simply want the clutter gone, there are ways to utilize the space that is available especially if you have upper cabinets. ​When it comes to organizing your space you need to step back and really take a look at it, and see what is the most bothersome to you. There are so many small appliances now that take up room on the counter. If you have a large kitchen then you can use appliance garages or have a space on the counter dedicated to them, but if you are limited on space and want them more organized, then take a look at that space just under your upper cabinets for ideas. Everything from appliances to wine glasses can fit under here! ​Below are some ideas that might get you inspired to treat yourself to new and more efficient appliances and get rid of that old coffee pot or cumbersome toaster oven and see what you can do with this space. Under Cabinet Coffee Pot - This is a 12 cup programmable coffee pot that is no longer on the counter taking up room. As you can see in this picture this owner has started to utilize the space under those upper cabinets. Click and check it out. This is Black and Decker and has received lots of great reviews. Under Cabinet Toaster Oven - This is a fully functional and programmable unit for toasting as well as quickly heating and grilling foods. Great for a small family or single person, and anyone who wants the conven8ience of this appliance but without the room they tend to take up on the countertop. As long as you have upper cabinets then you can add this appliance, plus it is at eye level making it easier to use for many people. Under Cabinet Space Saving Can Opener - This is certainly a handy place to install a can opener. Easy to use and at eye level, it is easier on the hands compared to manual openers. Under Cabinet TV and Radio - Watching the news or your favourite shows while waiting for something to cook or boil can be fun in the kitchen. You don't have to take up counter space to enjoy it either. Plus this unit offers radio and a clock. It is a 10 inch screen and fits slim under the upper cabinets. 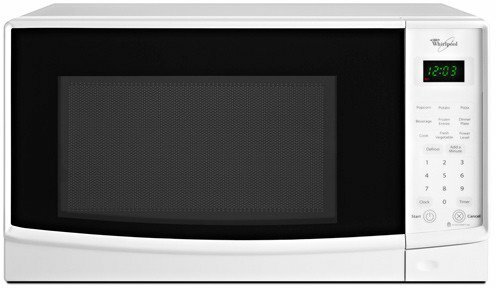 Counter or Under Cabinet Microwave - This is a very slim microwave measuring 12.8 inches high by 24 inches wide by 12.8 inches deep. Which makes this the perfect one for installing under the upper cabinets. If you like the idea of it off the counter, then all you need is the upper cabinet installation kit which is below. It does everything a normal microwave can do, but now it is off the counter and at eye level. Hopefully this gets you inspired to treat yourself to some new small appliances and consider installing them under the upper cabinets to save space on the counter top. Just think, even if you could get that coffee maker off the surface and maybe the toaster, that would clear up some space and help you get more organized. Appliances can take up a lot of room. So if yours are old and large, maybe you should create a wish list you could work with. ​As many people downsize their living spaces, kitchens tend to lose the room too, and now you have to think outside the box a little bit. I have had my share of tiny limiting kitchens, and if you just take the time to work out your kitchen habits and the things you like to do, then you can start with those activities when it comes to organizing things so that you are not pulling everything out or jamming things way in the back. Not all kitchens are created equally or very user friendly, so sometimes you have to get creative and invest in the right new pieces to make the space totally usable for you. ​Checking things online is another great way to get ideas or to create that wish list of things that will help. Amazon has one of the largest supplies of many different products and ideas that will help you organize that kitchen.